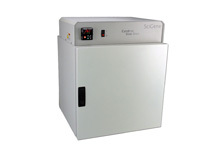 High capacity convection oven with superior temperature control for performing extended or overnight probe denaturation of up to 60 FISH/ISH slides. Slides are uniformly heated to &pusmn; 0.5°C from set point. Up to ten 6-slide trays are easily loaded into five sliding drawers. 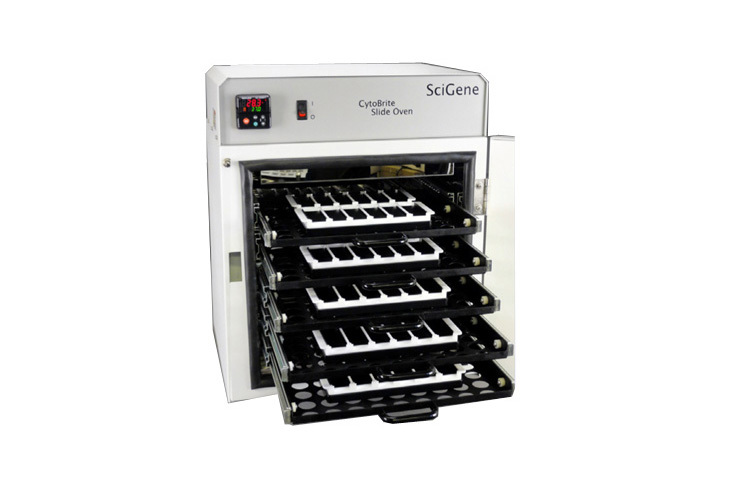 Requires the use of CytoBond Removable Coverslip Sealant to temporarily seal coverslips to slides, providing an evaporative seal over prolonged incubations and high temperatures without humidification.